UCLA Professor Jim Stigler talks about the observations he made as a graduate student at University of Michigan while comparing American against Japanese classrooms. Apparently, in the US, a student struggling with a lesson implies lack of ability while in Japan, struggling is seen as an opportunity. In a Japanese classroom, it is clear that academic success is not so much about what a student knows but more about a willingness on the part of a student to work and struggle to learn. It is not about intelligence, but more about motivation. 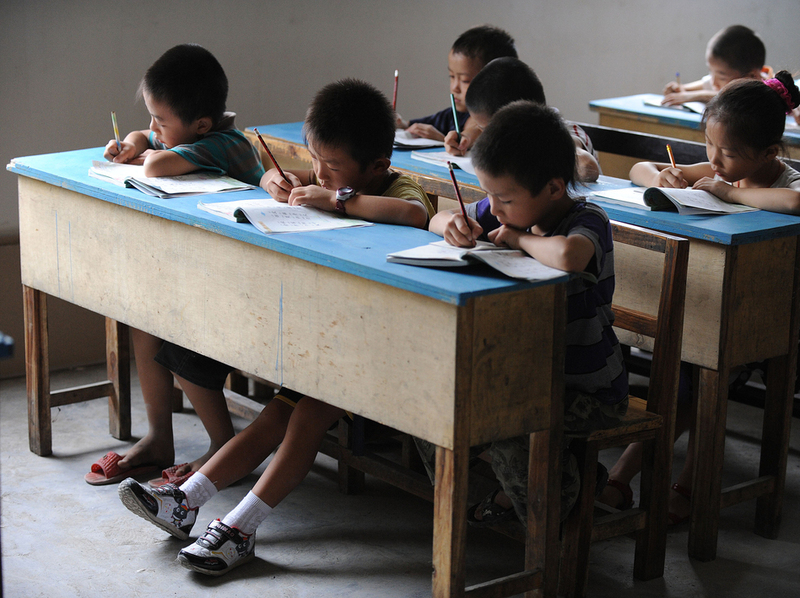 Japanese classrooms focus therefore on effort. It teaches the students that the process is important. It is the most important lesson in life, persistence in the face of challenges, profoundly affecting behavior. One vivid comparison involved giving a class of first grade students a problem impossible to solve. Inside the American classroom, students gave up within half a minute saying that they have not seen such a problem before while inside the Japanese classroom, students continued to work on the problem until the one-hour period was over. There are certainly advantages and disadvantages between the two different cultural views of learning. Japanese students do well in science and math but American students are more individualistic and creative. There is perhaps a middle path that reaps the benefits from the two culturally different approaches. Of course, a middle path that combines the shortcomings of both approaches is likewise possible, one that destroys creativity and at the same time, does not encourage perseverance. 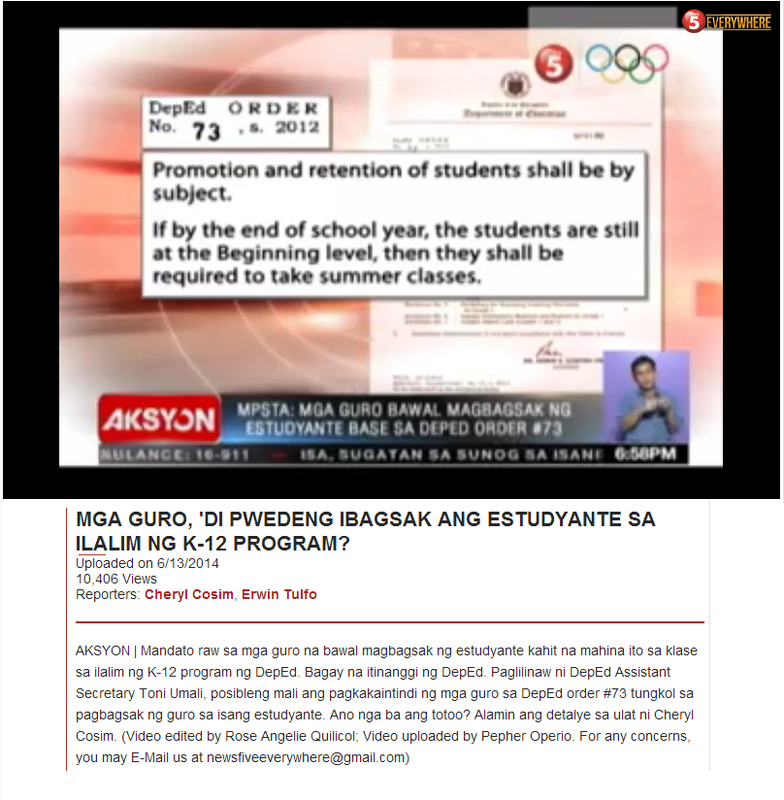 This a serious question that one must ask especially with DepEd's K to 12. In an abandonment of "rote learning", are we sacrificing the lessons of perseverance and practice? 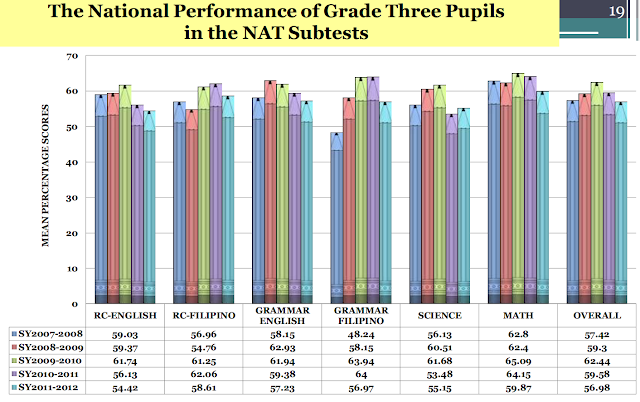 The reason why Americans have been comparing their schools against those of the Japanese is to see why Japanese students outperform American students in math and the sciences. It is a quest for the reason behind an "Eastern advantage". The Philippines, although it is in Asia, does not have this "advantage". It must therefore look at what it has lost in its culture. 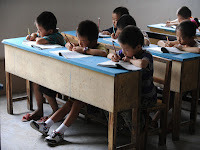 For the most part in American culture, intellectual struggle in school children is seen as an indicator of weakness, while in Eastern cultures it is not only tolerated, it is often used to measure emotional strength. Although more emphasis was generally given to effort than to ability as a basis for achievement, the relative strength of the belief in the importance of these factors differed among American, Chinese, and Japanese mothers. Relative to the Chinese and Japanese mothers, the American mothers placed greater emphasis on ability; Chinese and Japanese mothers placed greater emphasis on effort as an explanation for achievement. When parents believe that success in school depends on ability in contrast to effort, they are less likely to foster participation in activities related to academic achievement that would elicit strong effort toward learning on the part of their children, such as doing homework, attending after-school classes, and receiving tutoring. American parents, in fact, did not use these activities with great frequency as means for improving their children's scholastic performance, even though they were willing to provide such supplemental activities for their children in sports, music, and art. Mothers who emphasize the importance of ability may ask if such activities are useful for children of low ability and may accept the poor performance of their children. If the child has high ability, the mother may question whether such activities are needed. A greater emphasis on ability appears to be related, therefore, to American children's lower accomplishments in elementary school. Thank You For Useful Information.Very Nice Website.